Santa Claus piggy bank figurine is featured here just in time for the holiday. 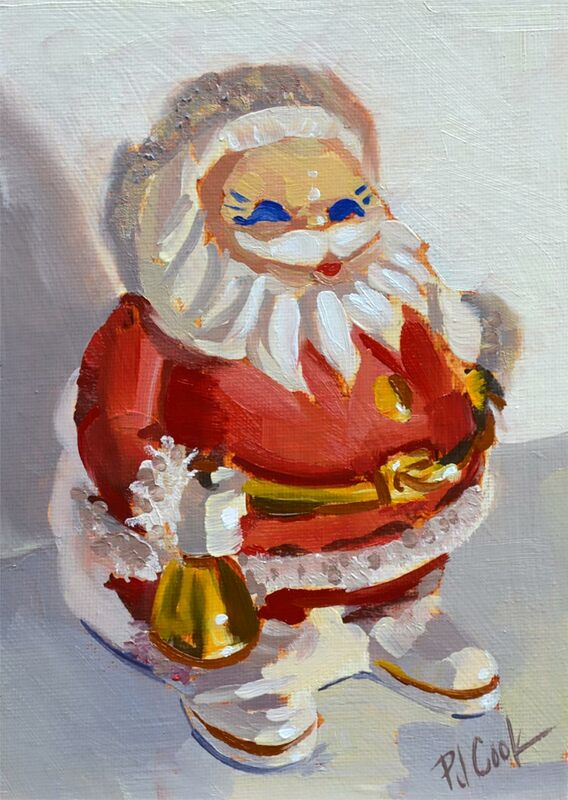 This new Christmas painting is a piggy bank that is around 40 to 50 years old. My mother has had it for years and I decided to paint it in oil. 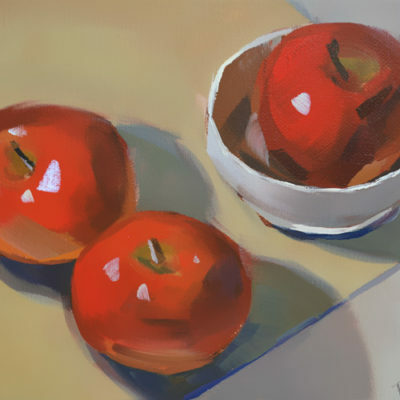 Painted alla prima or in one sitting. 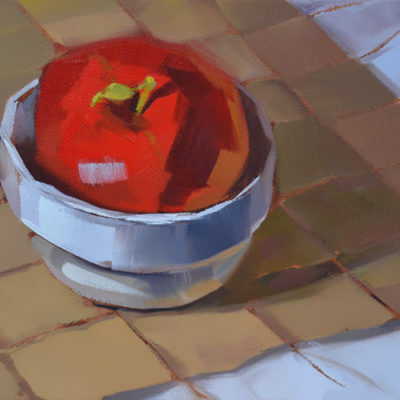 Artist Notes: This Christmas still life painting is an original work of art by PJ Cook. 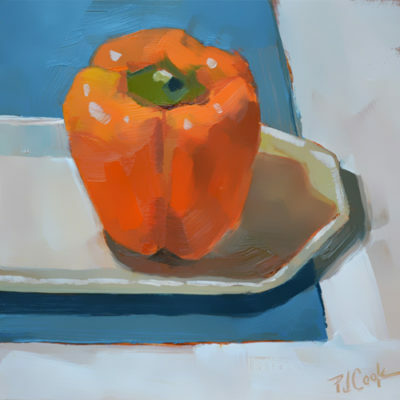 Original oil is 7″ x 5″ size and will fit into a ready-made picture frame. Oil painting is shipped for free unframed, add a nice frame for additional cost. Professional materials used throughout. Signed by the artist front and back. Can be purchased with a picture frame, contact for details. Thank you for your interest in my original art and please contact me with any questions. Order today for the holiday season.